I have a box in my closet filled with ticket stubs for every event my wife and I have ever been to. That’s more than 17 years of movies, concerts, ball games, etc. Normally I’m a big digital guy as I hate the clutter and dust. But what happens to my shoe box when there are no more ticket stubs? 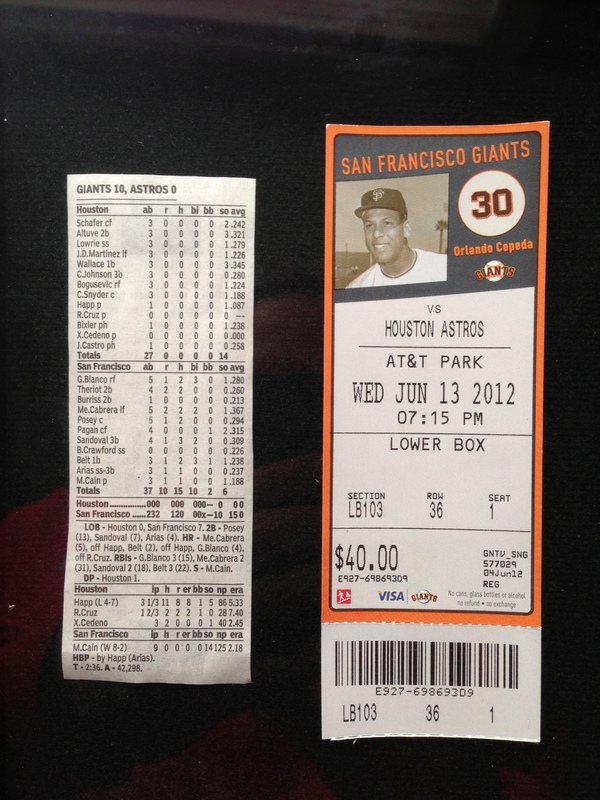 The picture is my MLB ticket stub and box score from Matt Cain’s perfect game this summer.